Use this vanity to bring more traditional style into your bathroom. Made with a special grey solid wood base and a black granite counter, this piece will make your bathroom look even nicer. Put a nice twist on your bathroom project with this classic piece from Avanity. Enjoy the popular modern look in your bathroom with this beautiful vanity. Its comes with a nice black quartz counter and grey plywood base for strength and style. This classic set from American Imaginations will make your bathroom look brand new. 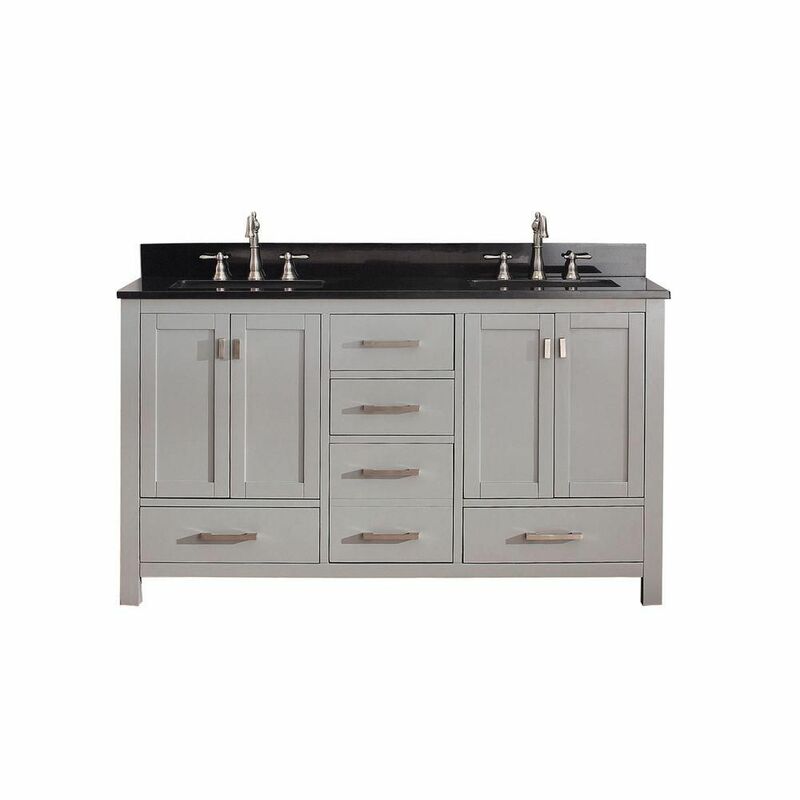 Modero 61-inch W Freestanding Vanity in Grey With Granite Top in Black, Double Basins Use this vanity to bring more traditional style into your bathroom. Made with a special grey solid wood base and a black granite counter, this piece will make your bathroom look even nicer. Put a nice twist on your bathroom project with this classic piece from Avanity.